New acts announced today will join The Strokes, Suede, Rosalía, Idles, Princess Nokia, Nils Frahm and more from 11-13 July in Bilbao. Last year, Bilbao BBK Live made a big statement, debuting a stage that celebrates low BPM music. Lasai,which means ‘rest’ and ‘calm’ in Euskera, aims to become a place where revellers can decompress and escape from the madness of the festival. With its hillside location, backed by the beautiful Basque woodland and surrounded by cypress trees, Lasai takes full advantage of the spectacular views of Bilbao. Furthermore, its unique philosophy makes it the ideal location to stop, relax and remember that the true measure of a festival is not about the number of acts; it’s about being in the moment and embracing the experience. Going off the grid and switching off your phone is encouraged. Lasai is bound by one rule only: music doesn’t exceed 100 beats per minute. This gives DJs a free hand to experiment and take risks. 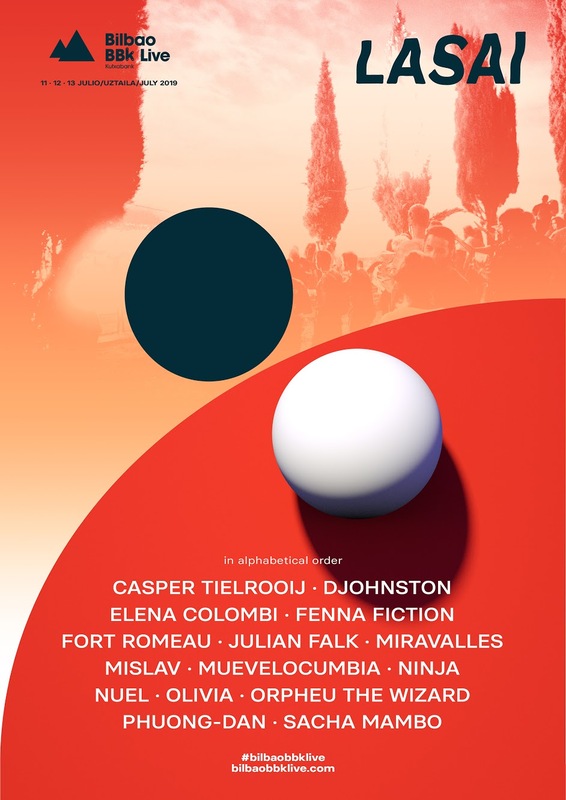 In 2019, Lasai once again stacks the line-up with a stellar combination of DJs specialising in low BPM sounds and artists willing to open up the lesser-visited areas of their collections. Lasai’s roster of talent will include a showcase by house superstar Fort Romeau, playing a selection of dreamy mellow beats, and Red Light Radio co-founder Orpheu The Wizard, who will push the boundaries to give us something to marvel at.